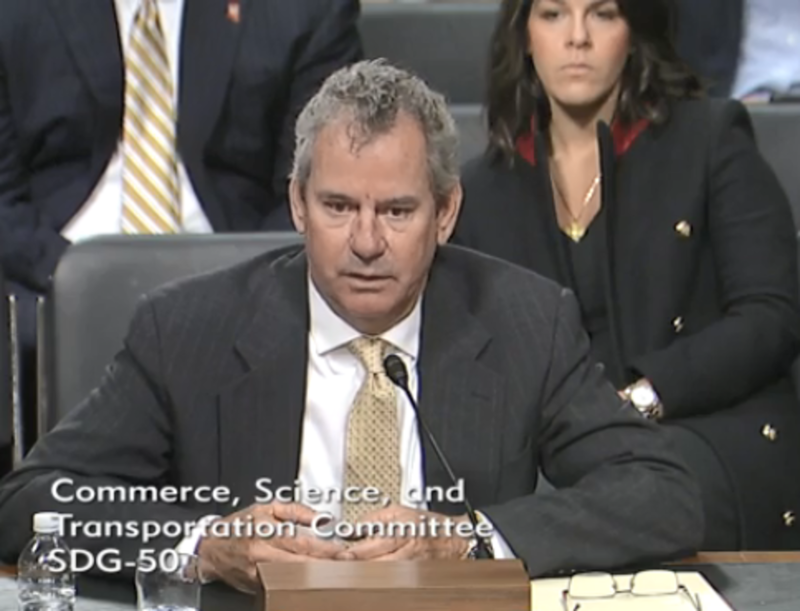 Maverick Boat Group CEO Scott Deal yesterday testified before the U.S. Senate Committee on Commerce, Science and Transportation. The hearing, “Our Blue Economy: Successes and Opportunities,” focused on different perspectives on marine economic development and the need for federal investments in ocean technologies and fisheries. Deal was one of three experts testifying before the committee. The other two witnesses were Mississippi Governor Phil Bryant and Michael Conathan, executive director of the Aspen Institute’s High Seas Initiative. Deal told the Senate committee that his company’s “ability to expand sales, grow market share and manufacture more product,” is directly tied to the ability of saltwater anglers to get on the water. Eleven million Americans take part in recreational fishing in salt water. “These saltwater anglers, many of whom are Maverick customers, support 472,000 U.S. jobs across a variety of sectors and $68 billion in sales annually,” said Deal. Three basic foundations will support the boating industry, according to Deal. The first is an “updated and robust infrastructure,” including boat ramps, fishing piers and marinas as well as navigational markings, mooring buoys and properly dredged channels. Finally, Deal said sound fisheries management policy that supports recreational angling was critical to his business. “In 2014, I spearheaded, along with Johnny Morris of Bass Pro, the Morris-Deal Report—the first- ever vision for managing America’s saltwater anglers,” said Deal. “This report made six recommendations for the Magnuson-Stevens Fishery Conservation and Management Act (MSA), including allocating marine fisheries to the greatest benefit for the nation; creating reasonable latitude in stock rebuilding timelines, and codifying a process for cooperative management.” The report was eventually used as the foundation of the Modern Fish Act. Deal said that a survey by NMMA and the American Sportfishing Association estimated boat manufacturing companies have invested $46.1 million in capital expenditures and hired 615 people because of extended fishing seasons. Retailers reported a 20 percent increase in tackle sales. Recreational anglers take only two percent of the finfish in America’s oceans, but generate more than half the jobs in the entire fishing industry.